Bed bugs. No one wants to think about them, but they could be anywhere. Planes, trains, hotels, vehicles, houses, and even movie theaters can house these critters. One way to check for bed bugs is to closely examine dark and enclosed areas such as headboards, baseboards, picture frames, the seams of the mattress, and even the box spring of the bed. Key signs of a bed bug infestation includes dark brown or black stains, as well as mounds, left behind (this is the bug’s feces), white eggs, and/or shed bug skins. If you or someone you know has been a victim of bed bug bites in Nevada – and they may be the result of another party’s negligent behavior – you may be entitled to monetary compensation for damages suffered. The minute you suspect you have suffered injuries from a bed bug infestation due to the negligence of another, you should begin collecting evidence to support your claim. Taking photos of the bedsheets and other areas where visible evidence of an infestation is present. In addition to black or brown stains or mounds, white eggs, and shed bug skins, you may see small red spots or dead bed bugs. Beyond taking pictures of your physical injuries, also take a written record describing what you see and make sure to take down the dates and times you observed bites or other injuries. If you receive treatment for your bed bug injuries, make sure to keep copies of your medical records. If the suspected infestation is in a hotel or other managed property, you must notify the owner/agent/operator of the property right away so that a proper inspection may be performed of the room and other areas. Make a record of every name, title, and contact information of the person with whom you spoke. If you speak with someone initially, be sure to follow up with a written notification and keep copies of all correspondence. Because emotional distress is often an important element of bed bug lawsuits, make sure to keep track of your symptoms regarding sleeplessness, anxiety, fear, or even a cleaning obsession. Moreover, if you are forced to take time off of work to deal with the bed bug issue, make sure to keep track of your lost time. Bed bug lawsuits are similar to any other personal injury lawsuit. The plaintiff, or the person seeking monetary compensation for their injuries, must prove the at-fault party was negligent. In order to successfully prove negligence, a plaintiff must establish that the at-fault party owed a legal duty; that duty was breached; the breach was the legal and proximate cause of the harm; and the harm resulted in damages. There are several types of damages – or monetary compensation – a Nevada bed bug victim may seek. These include medical expenses, lost wages, property damages, pain and suffering, emotional harm, and even punitive damages. 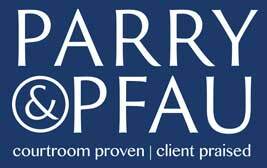 If you or someone you know has suffered a Nevada bed bug injury, or any other type of personal injury due to the fault of another, contact the experienced Nevada attorneys at Parry & Pfau. We will fight hard to seek the compensation you deserve. Call us at (702) 213-7379 today to schedule your free, initial, case evaluation. Newer PostIs it Legal to Make Prank Calls?